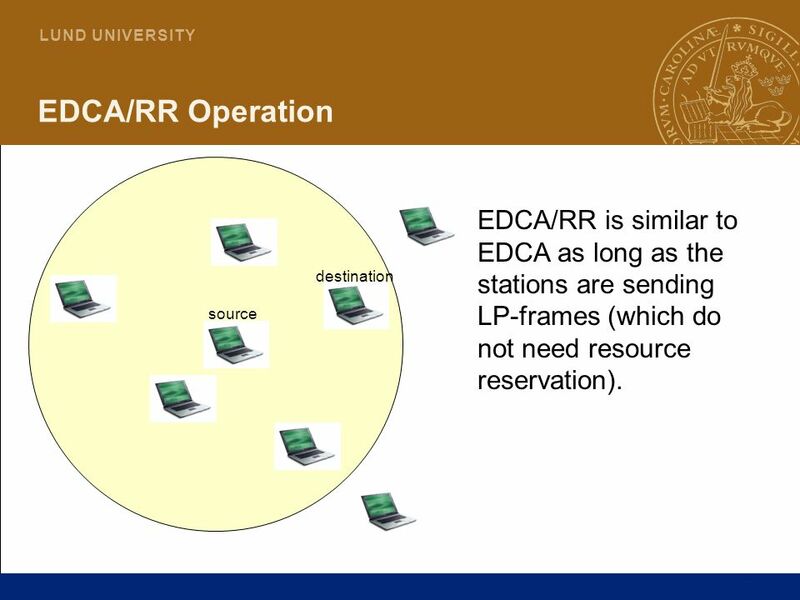 15 Motivation: Why EDCA/RR for Wireless Mesh Networks (WMNs)? 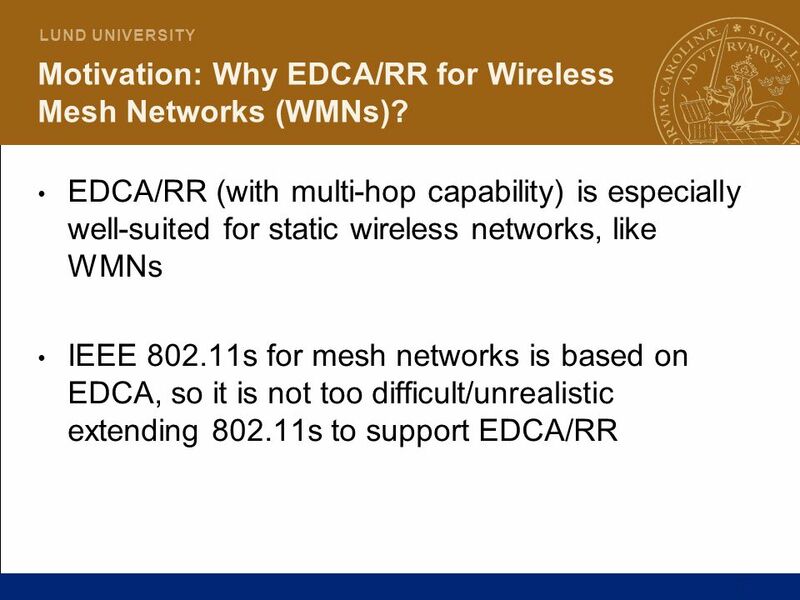 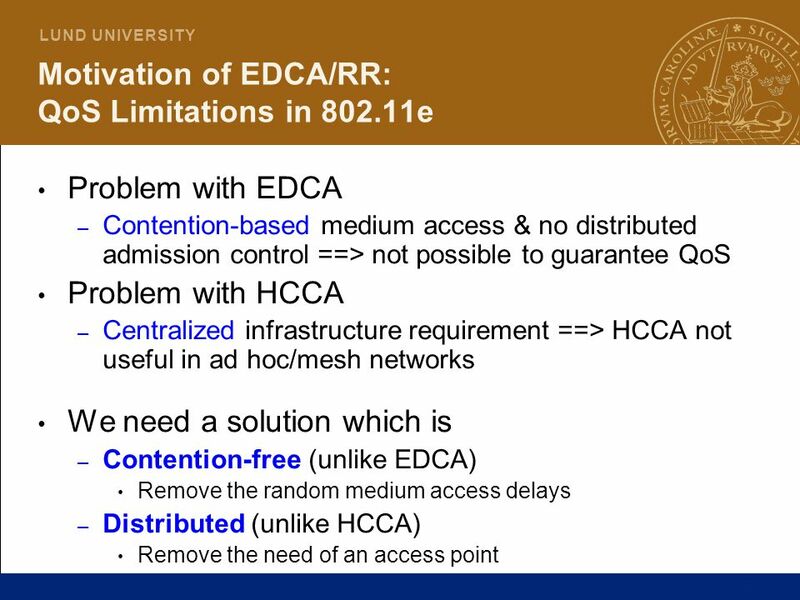 16 Motivation: Why EDCA/RR for Wireless Mesh Networks (WMNs)? 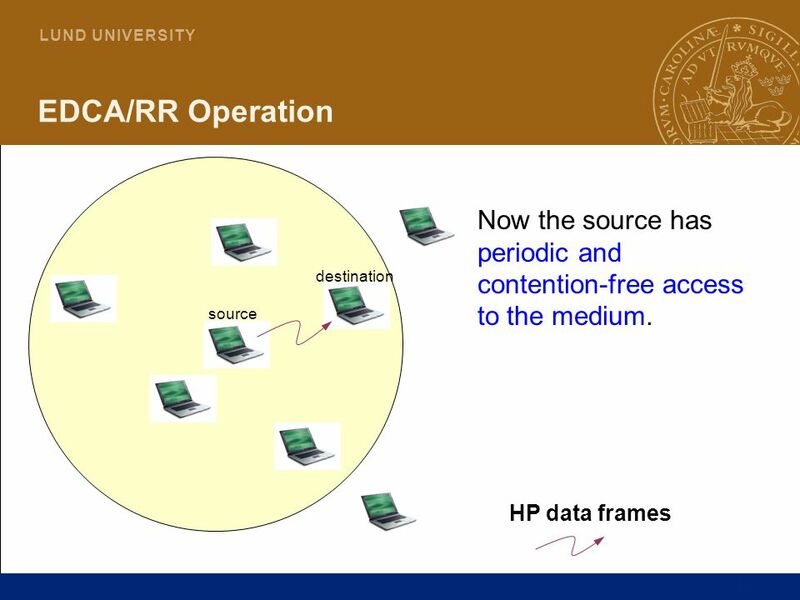 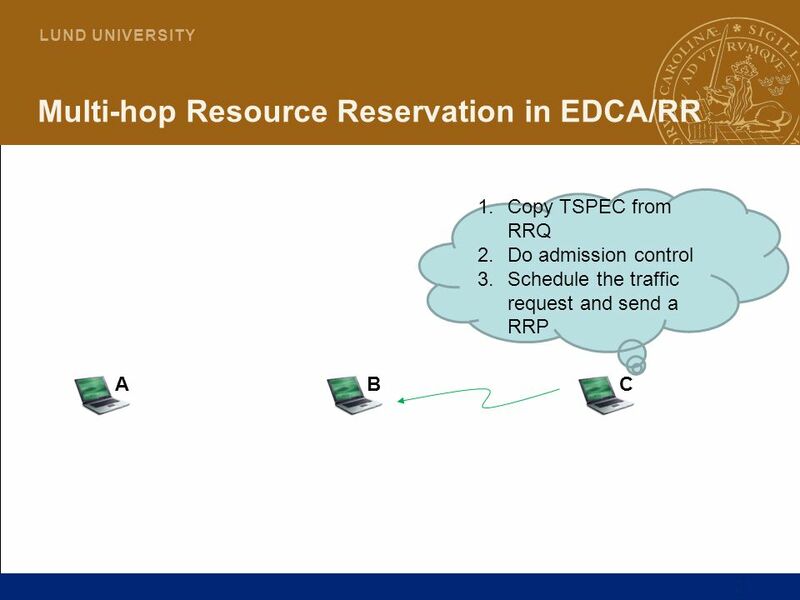 Copy TSPEC from HP-packet to RRQ Do admission control Temporarily mark resources as reserved and broadcast RRQ RRQ (route and reservation request) is a RREQ extended with some TSPEC fields. 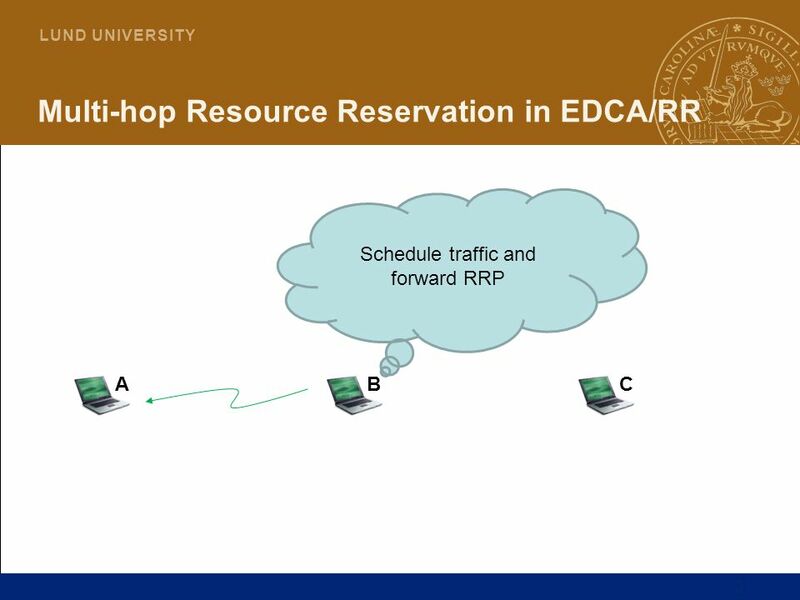 A B C The routing protocol copies the TSPEC from the packet into a route and reservation request (RRQ) and sends it down to the MAC sublayer (EDCA/RR). 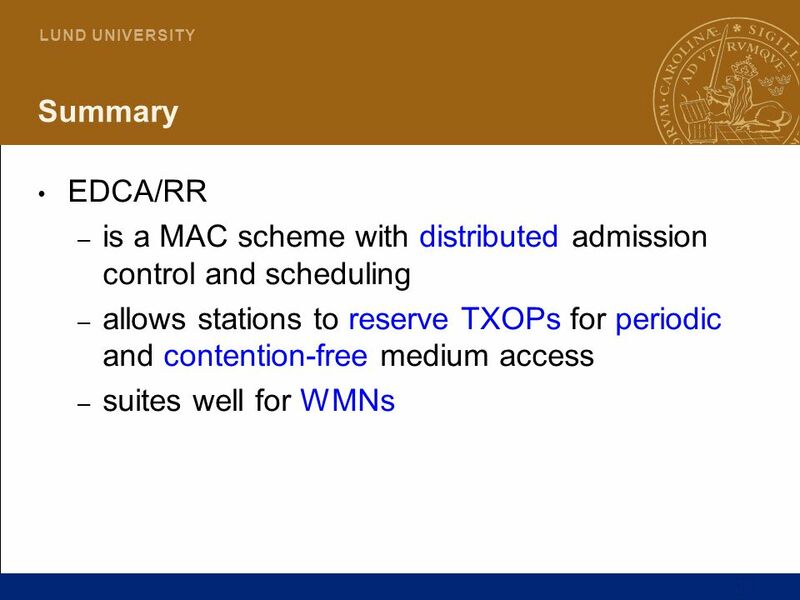 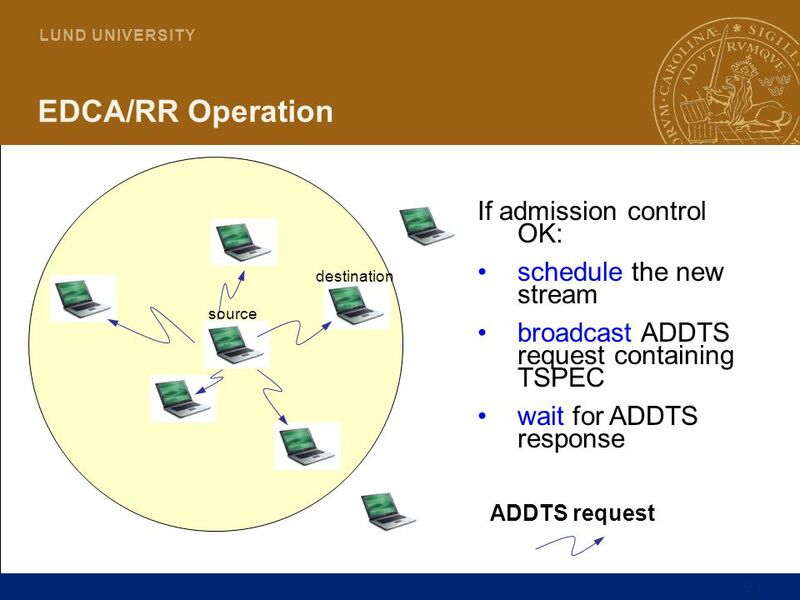 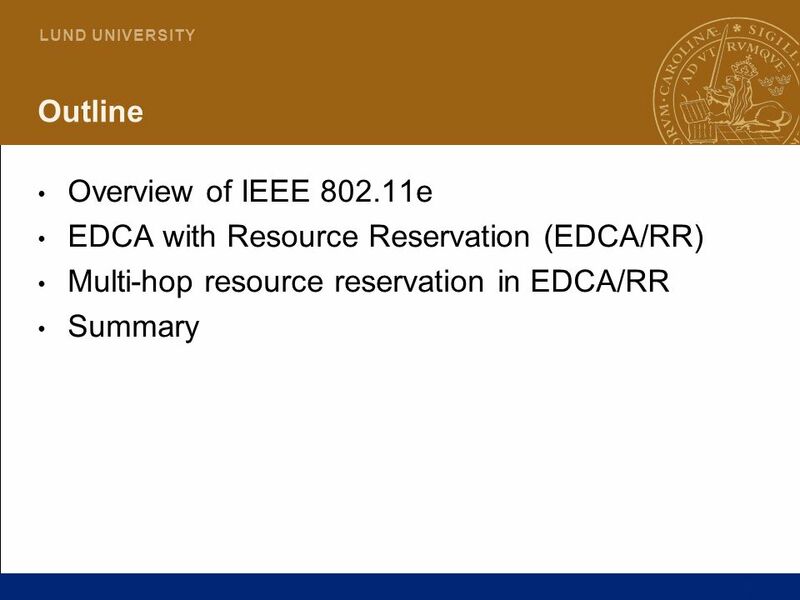 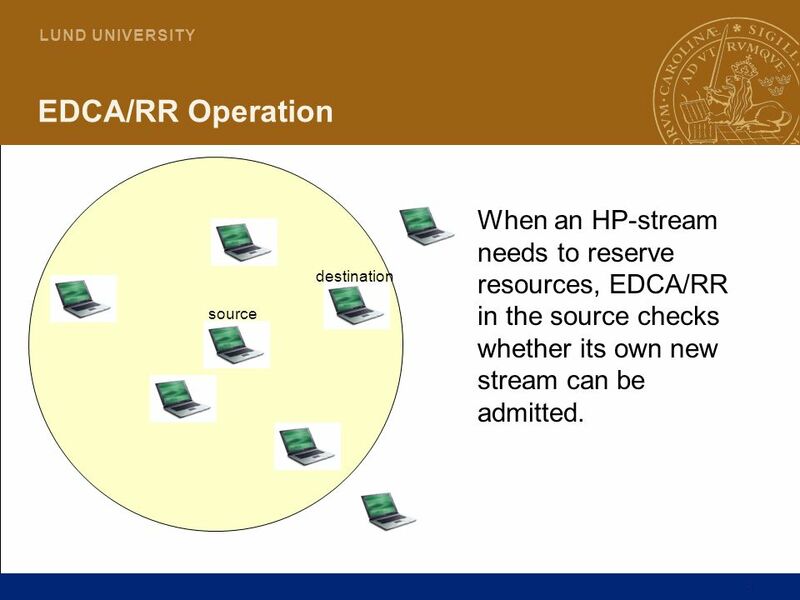 EDCA/RR does admission control. 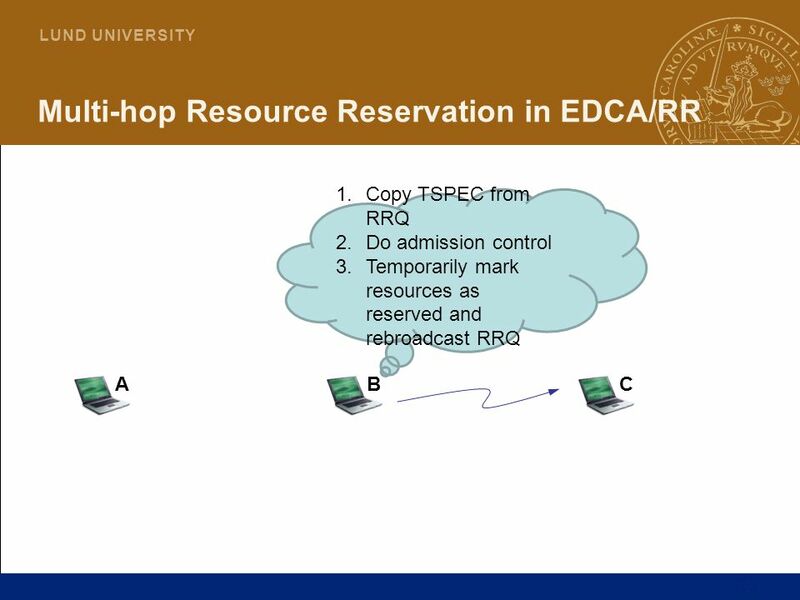 If OK, broadcast RRQ. 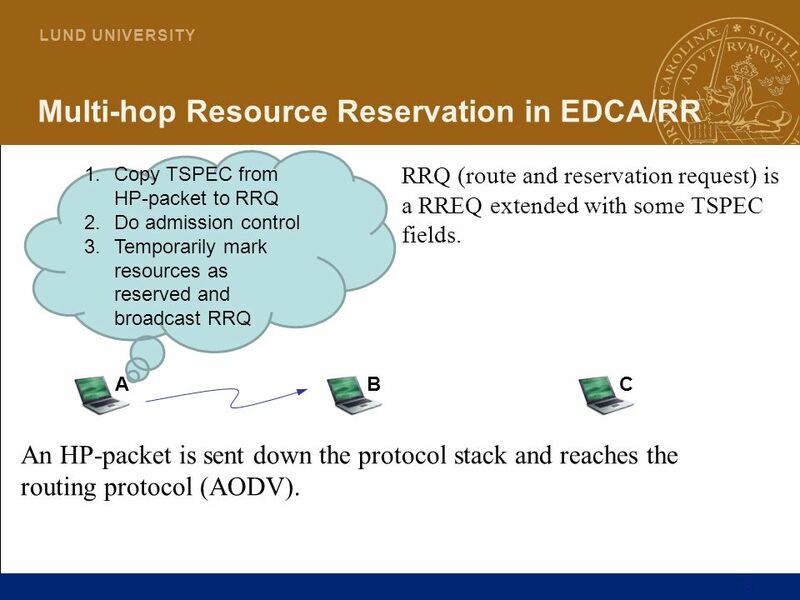 An HP-packet is sent down the protocol stack and reaches the routing protocol (AODV). 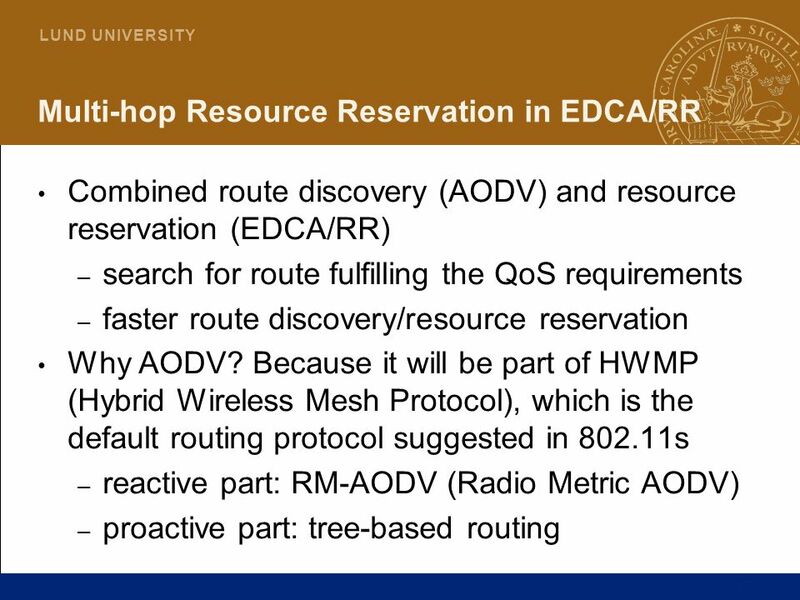 Download ppt "QoS Provisioning in Wireless Mesh Networks"
Page 1 Approximately Maximum Bandwidth Routing for Slotted Wireless Ad Hoc Networks Approximately Maximum Bandwidth Routing for Slotted Wireless Ad Hoc. 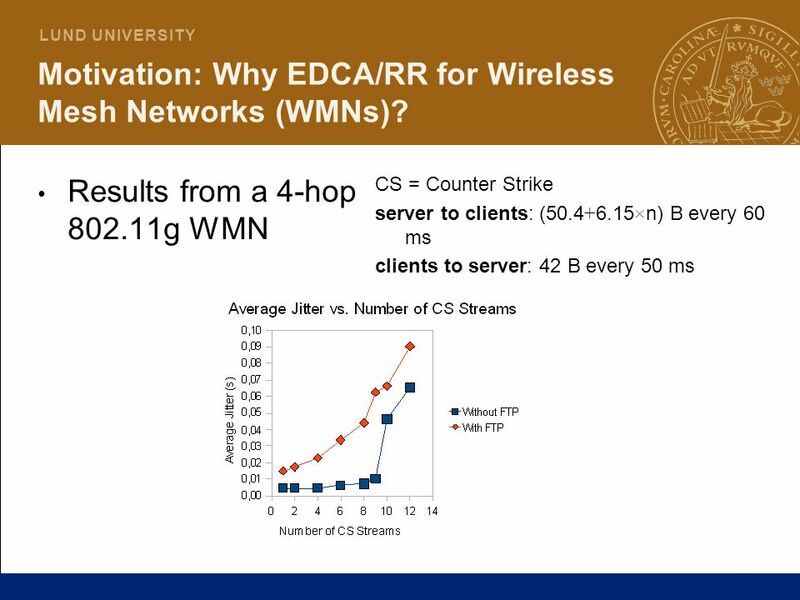 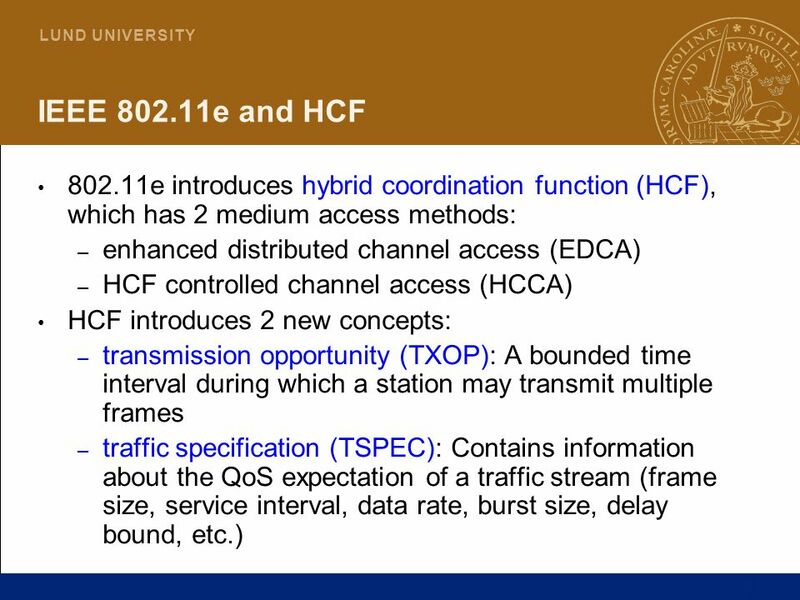 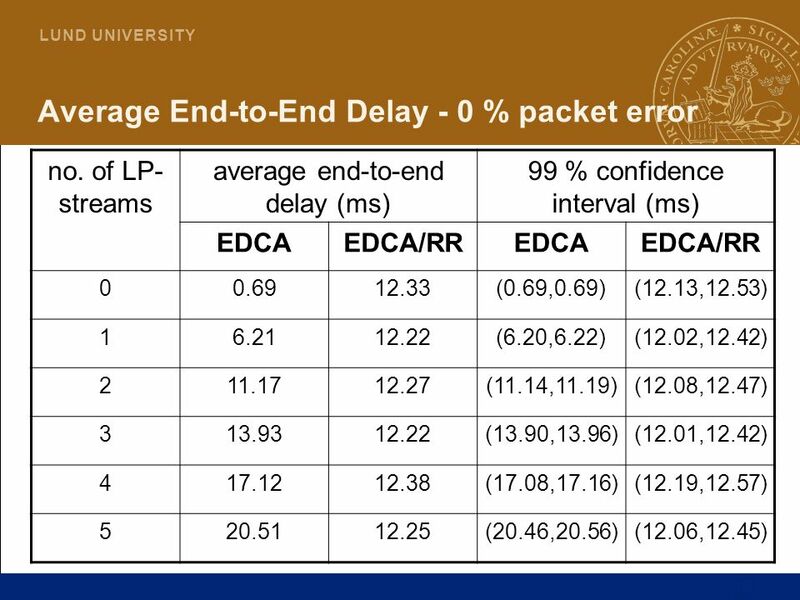 1 Multi-Channel Wireless Networks: Capacity and Protocols Nitin H. Vaidya University of Illinois at Urbana-Champaign Joint work with Pradeep Kyasanur Chandrakanth. 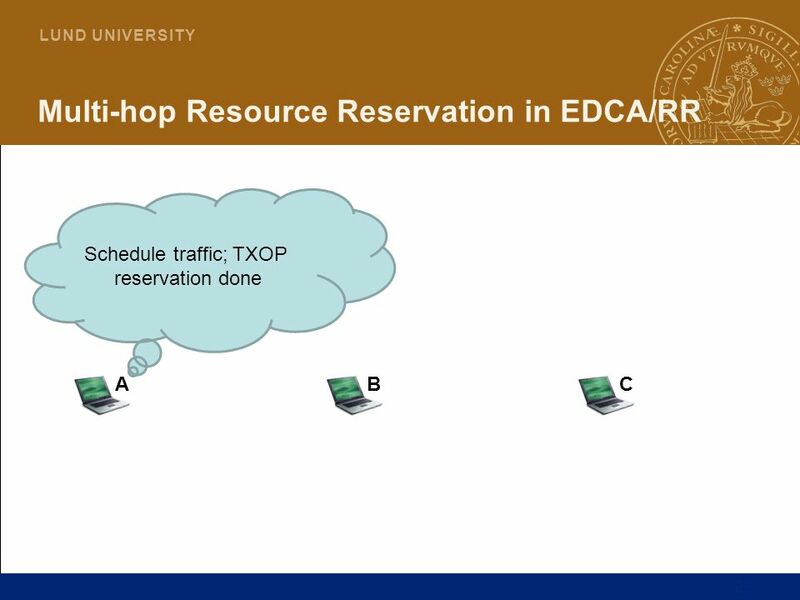 How to Evaluate Exotic Wireless Routing Protocols? 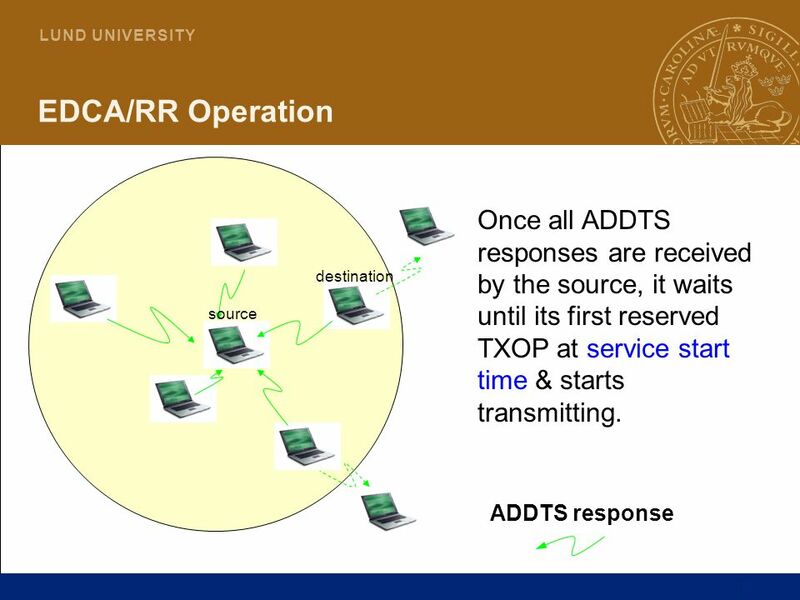 1 Dimitrios Koutsonikolas 1, Y. Charlie Hu 1, Konstantina Papagiannaki 2 1 Purdue University, 2 Intel.